Twisted Log Cabin is a show stopper that defines excitement in a quilt block. Twisted Log Cabin is an absolute show stopper that defines excitement in a quilt block! Machine instructions for 8 inch blocks* If you require a smaller hoop use "Twisted 7's" which, with the same color choices will stitch out nearly identically to this design. The difference between the two blocks is that Twisted 7's has 2 fewer revolutions around the center. To view Twisted 7s - Click Here. 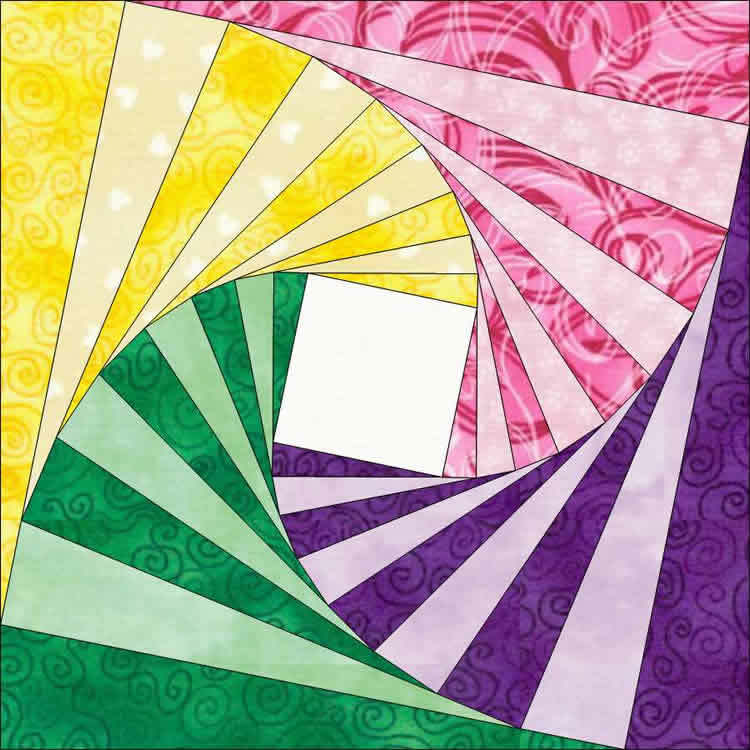 Interchangeable Quilt only designs for plain or unpieced 4, 5 and 8 inch blocks.